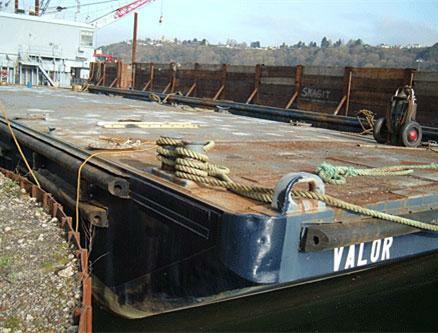 The Valor is a fantastic flat deck barge for a single dock demolition. A 550 ton deadweight capacity coupled with a shorter overall length (110 feet) means the Valor can tackle the spectrum of projects such as private marinas and commercial docks along the west coast in Washington and Oregon. The Valor continues to get the job done - every time.